During the coming years, Russia may begin deploying its own high-latitude space station, Kommersant newspaper wrote with reference to a source close to the administration of the Central Research Institute of Machine Engineering. The construction of the station in orbit, the newspaper wrote, is a key aspect of the project for the development of manned space exploration for the period up to 2050. At first, an anonymous source in the Federal Space Agency denied the information, saying that there was neither technical nor financial possibility for the realization of the idea. Later, however, deputy head of the agency Denis Lyskov said that there were "various options" considered. The project of the Federal Space Program does not provide for the deployment of a new space station in the years 2017-2019. 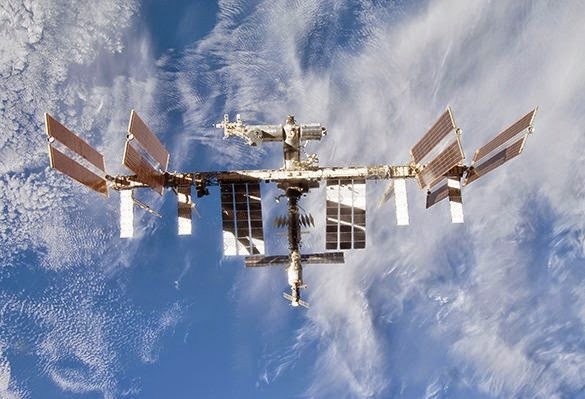 Roscosmos will not be able to provide resources for such a project while implementing obligations under the project of the International Space Station (ISS), Interfax said with reference to a source in the space agency. "This is simply unfeasible both technically and financially," the source told the agency. However, deputy head of the Federal Space Agency, Denis Lyskov, told TASS that Roscosmos was indeed considering various options to create a new national space station that could replace the ISS. "We are looking at different options, without being attached to one particular option," he said. Lyskov did not unveil any details of the project. The Kommersant said that the Russian station would be built in the period from 2017 to 2019. The initial configuration will be formed on the basis of a multi-purpose laboratory and node modules, spacecraft OKA-T. Soyuz-MS and MS-Progress will maintain the operation of the station. In 2020-2024, energy and transformed modules used in the lunar program would be developed, the article said. According to Interfax, some orbital modules mentioned in the article were designed to supplement the Russian segment of the ISS. "Roscosmos, as its leaders have repeatedly stated, is interested in extending the operation of the ISS at least before 2020. The resources for the Russian side to abide by obligations under the ISS program are stipulated in the Roscosmos budget. The project of a separate space station will require a much larger allocation of funds. The fact that they will be assigned in today's tense financial situation is unlikely," said the source. The source also said that the characteristics of a would-be Russian station were not correct in terms of capabilities for monitoring the Russian territory. "The ISS orbits the globe six times a day with an inclination of about 51.8 degrees. Any more or less knowledgeable person understands that one can observe a large part of Russia from the station. In addition, the problem of remote sensing of the Earth, as experience proved, is a lot easier and cheaper to solve with the help of special spacecraft, including small ones. Using a large heavy station for this purpose is, at least, not rational," said the source. The costs for the project have not been established yet. At the initial stage, it is planned to use the modules and devices developed for the Russian segment of the ISS. At the same time, there are no plans to curtail the ISS. Moscow intends to firmly fulfill its international obligations through 2020. It is worthy of note that Russia has not given its agreement yet to extend the operation of the ISS. The new station is to be located in a geometrically favorable location. From the station, one will be able to see up to 90% of the territory of Russia and the Arctic shelf, while at the ISS, this figure does not exceed 5%. Flight tests of manned lunar infrastructure are said to be another feature of the new station. It goes about creating a certain platform. At first, space vehicles will be delivered to the station before proceeding to the moon. Pravda.Ru asked expert opinion from chief editor of News of Cosmonautics journal, Igor Afanasyev, about the feasibility of the project of a Russian space station. "First and foremost, there has been no official decision made on the subject, as far as I know. The article published in the Kommersant newspaper remains on the conscience of the person who wrote it. I have not seen any official documents, not even among the people involved in this issue. This issue was not even discussed. "In the federal space program, there are elements of orbital infrastructure, but they do not correspond to what was written in the newspaper article. So I do not understand what this is all about. For me, the article in the newspaper is a very strange piece of news. Also, the administration of the country says that the next step in the field of space exploration would be a flight to the moon. I do not see a point then in building a new station."